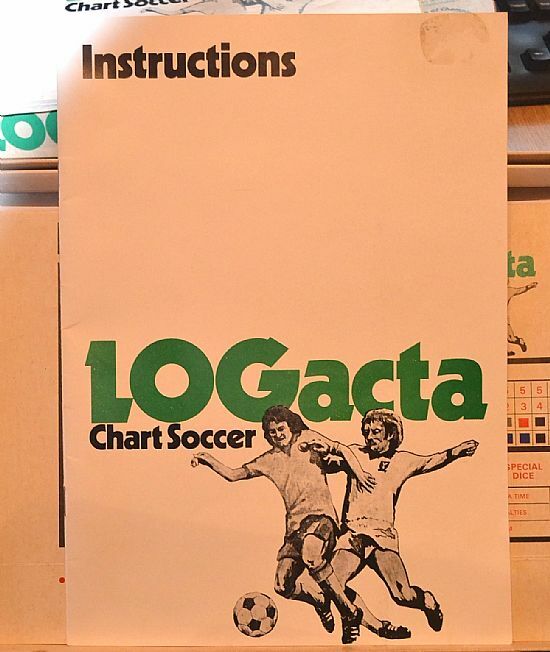 A dice and charts statistical representation of football that generates near hysteria amongst its devotees. 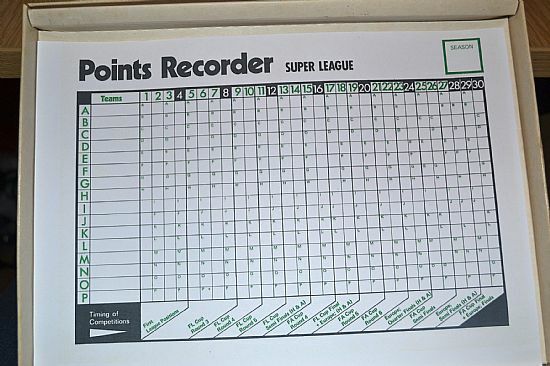 Classic format of differing dice numbers representing home and away scores and teams of different ability. 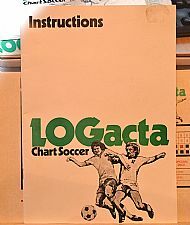 Huge amounts of data and records kept by the original owner of this set. Always happy to provide photocopies of the various pages for the cost of postage and a beer. The King of football games. Do you have one to sell? Seven different coloured dice with differing ranges of numbers on. The better your team got the better dice you were able to roll. 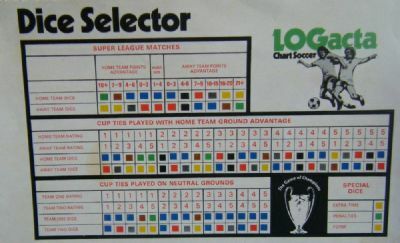 Plus the set of numbered cup draw cards. The basis of the entire game. Results based on rolling different colour dice. 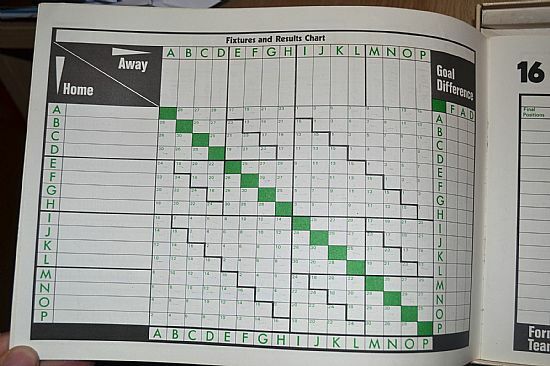 Typical results page from the chart book. 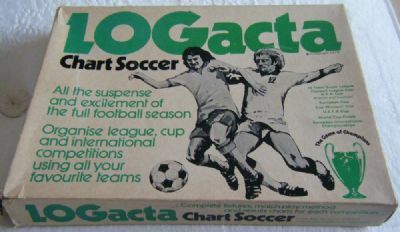 League, cups and interntionals all recreated in the chart books. 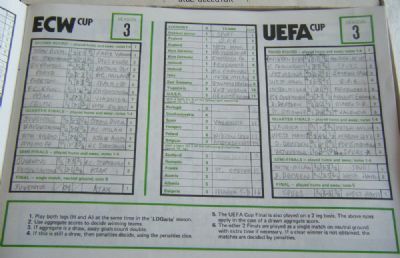 This one has Spurs winning the UEFA cup. Nice big book bound in glossy cover - pages of detail! One of the many charts that allow you to play the game and record every second of it. 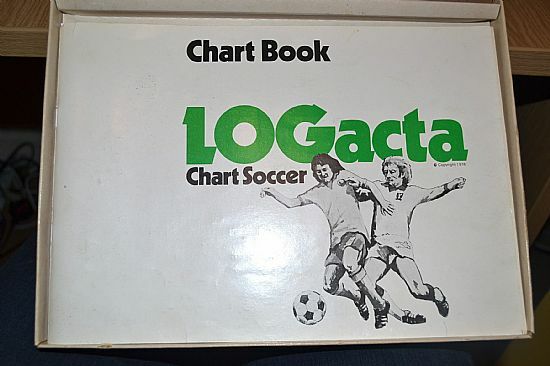 The heart of the game - more charts than Tony Blackburn. 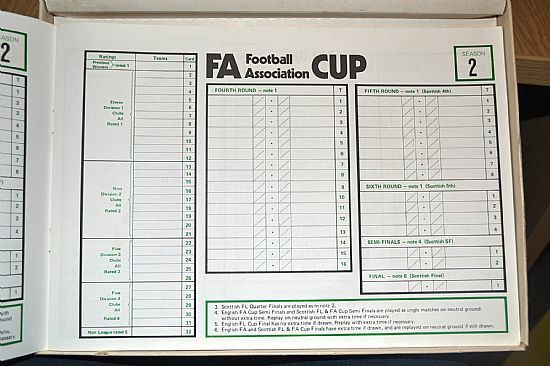 And of course the FA cup chart.